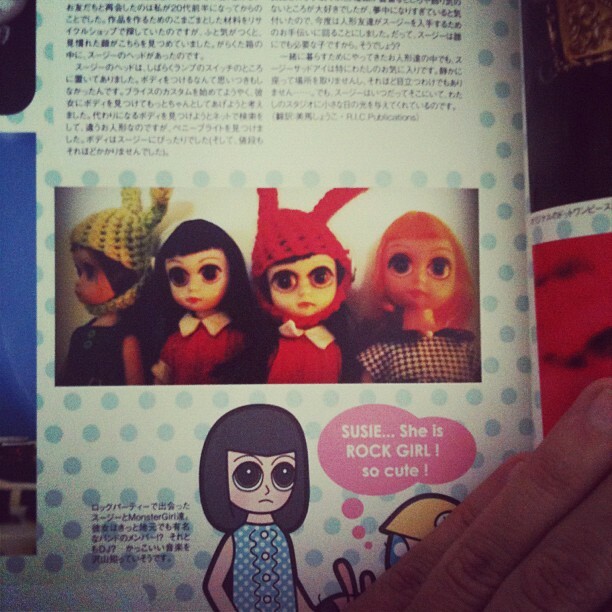 Another nice surprise was today while I was reading the last Dolly Dolly magazine, number 26, a very nice photo article about Susie Sad Eyes dolls… there was a pic by Megan/Minklet with all her collection of Susies and two of them were wearing my Bunny Beanies I was doing years ago 🙂 I didn’t even remember about her purchasing them! So nice to see them there! It sounds like you’ve had a lot of fun lately! Congrats on your hats magazine feature. So cool!